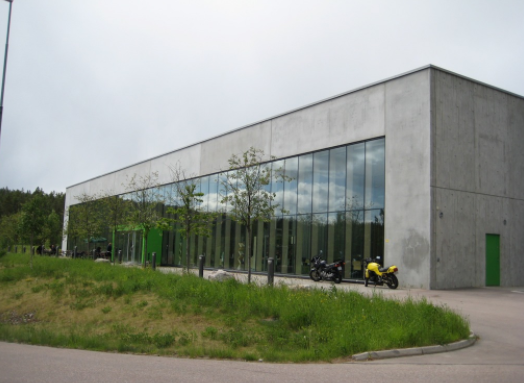 Diös sells a commercial property located ten kilometres outside of Falun. The buyer is Landstinget Dalarna and the purchase price amount to SEK 49 million. The change of possession will take place in the latter part of 2018 as the current tenant, Distansapoteket, vacates. Diös’s strategy is urban development, concentrating its property portfolio to central locations. The property now sold, Nedre Gruvriset 33: 156, is located outside of Falun and comprises a total of approximately 5,000 square meters of leaseable area, consisting mainly of logistics areas. - The sale of the property is entirely in line with our urban development strategy in Falun, where we are concentrating our property portfolio to central locations. We are therefore able to focus our resources to the city centre where we currently are developing Bergströms Galleria and our properties around Holmtorget. In addition to that, we are also developing housing at the centre by Faluån, says Lars-Göran Dahl, Head of Business Development, Diös. The County Council of Dalarna has acquired the property to ensure a long-term solution for Dalarna museum's needs for warehouse premises. - It feels very good and important to secure a local solution for the collections and thus the cultural heritage that the collections give, says Gunnar Barke, Chairman of the board at Landstinget, Dalarna.